Spend your Abu Dhabi honeymoon booked in to one of its opulent hotels or resorts and prepare to experience the exotic allure of the Middle East. 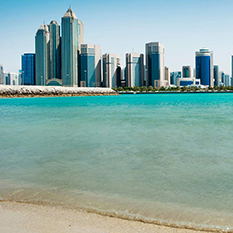 Visit the city’s fascinating cultural attractions, such as the iconic Sheikh Zayed Mosque which offers guided tours, enjoy a picnic in Al Safa Park and ramble along the Corniche soaking up the sunshine, the sea and the unique atmosphere of Abu Dhabi. If you are visiting during winter be sure to head to the Camel Race Track to catch the Thursday and Friday races, and whatever time of year you visit make sure you book a desert safari. These trips include dune bashing, a lavish dinner and live entertainment provided by a talented belly dancer. During your romantic Arabian sojourn you can also enjoy other novel delights such as dolphin watching and wreck-diving, or book yourself onto a helicopter tour for a bird’s eye view of Abu Dhabi. After a tiring day’s sightseeing treat yourselves to a decadent couple’s treatment at one of the hotel’s luxury spas and complete the day with a private candlelit dinner with your new spouse at your chosen resort. 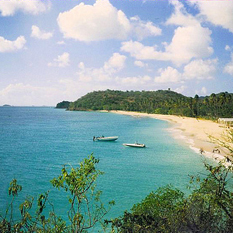 Antigua is located in the middle of the Leeward Islands in the Eastern Caribbean. Incredibly clear turquoise waters surround the picture-perfect Caribbean paradise that is ideal for relaxation or exploration. Antigua has a laid back vibe, making it a perfect honeymoon location. Crystal clear water reveals marine life and coral encrusted shipwrecks, providing excellent conditions for spectacular shallow diving and snorkeling. Enjoy romantic strolls along sandy white beaches with your loved one. Barbuda is a 90-minute ferry ride north of the island blessed with an incredibly romantic and desserted eight-mile pink sand beach. The sand gets its unique rose peal hue from the crushed coral in the sand. Warm temperatures and sun all year makes this destination the perfect honeymoon location at any time of the year. Antigua boasts captivating scenery just waiting to be explored. Shirley Heights is a romantic spot for watching the harbour become covered in a golden glow as the sun sets over he bay. On Sundays it becomes a popular party spot – soak up the views whilst sipping on some traditional rum punch and feasting on a barbeque accompanied by he rhythm of the steel band. Scattered like gems across the Caribbean Sea, the Bahamas spans over 3000 islands, cays and islets forming a paradise on earth and the ideal location for your dream honeymoon. Looking to try new experiences or simply looking for a beautiful beach honeymoon? The Bahamas really does offer it all for couples looking to experience new things together as a couple or for those who simply want to kick back, relax and soak up the breath taking views. For adventurous couples, Bahamas offers a playground of exciting activities to experience. Spend the day exploring underwater caves, go shopping for handmade crafts, try some Bahamian rum punch or swim with dolphins. Your Bahamas honeymoon will be packed full of sand, sun, adventure, culture and time for just the two of you. Neigbouring Bali, Lombok is a beautiful island made up of stunning beaches, which are fantastic surfing spots to practice your skills, volcanic calderas and trekking routes through lush jungles that reveal trickling waterfalls. A Lombok honeymoon package teamed with Bali as well as the option to visit the nearby Gili Islands is a great option to see some of Indonesia’s beautiful islands in one holiday. 3 tiny islands near the coast of northwest Lombok make up the Gili Islands, which are known for sandy beaches lined with swaying palm trees and vibrant coral reefs just offshore, making this a fantastic destination for snorkelling and diving with over 25 dive sites surrounding the islands. Each Gili Islands offers something unique; you can swim with turtles on Gili Meno, see spectacular sights at Gili Trawangan’s hill viewpoint and Gili Air can be travelled by foot in around 2 and a half hours! 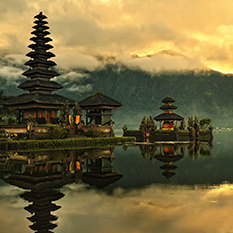 Visit the cultural heart of Bali, Ubud, famed for art, craft and carvings. In world-renowned arts centre Ubud you’ll find a host of galleries, museums and daily cultural performances. Well known for its stunning beaches, laid back lifestyle and rum punch, Barbados really has mastered the art of fine living. So, pack your bags full of swimwear, sun cream, a good book and enjoy a relaxing honeymoon as husband and wife on this beautiful island in the Caribbean. 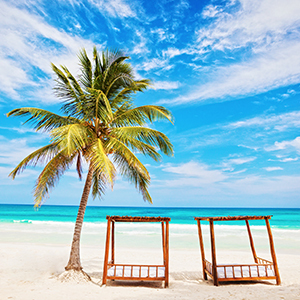 With regular flights from the UK, Barbados is one of the Caribbean’s most accessible islands and the perfect location for your all inclusive beach honeymoon. 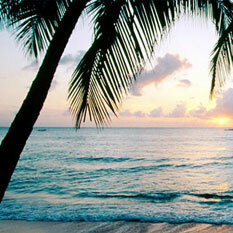 Barbados is the most eastern of all the Caribbean islands and located in the Lesser Antilles where the Atlantic Ocean meets the azure waters of the Caribbean Sea – a view never to be forgotten. The West Coast of Barbados attracts royals and the world’s leading sports stars to its upscale resorts such as Sandy Lane. The South Coast is ideal for group or family holidays and all inclusive holidays where lovers of water sports can enjoy the premium wind and kite surfing spots. A tropical paradise in the South Pacific is the perfect honeymoon. 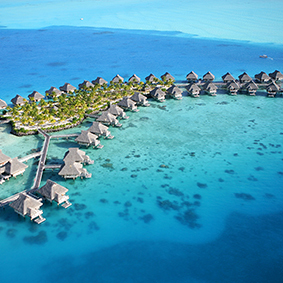 The French Polynesia islands are home to 118 islands and atolls; including Bora Bora, Tahiti, Moorea and Papeete. Picture perfect scenery combing rugged mountain peas, untouched coral, white sands and azure blue waters cloud your vision for miles around. 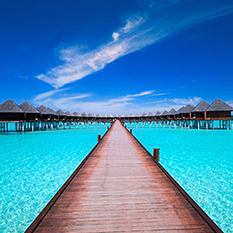 A honeymoon to Bora Bora offers sublime luxury, that makes the journey all worth it. This island sparkles within the Pacific Ocean. Tahiti and the capital of Bora Bora, Papeete are home to vibrant markets, culture rich museums and of course fantastic beaches. At Honeymoon Dreams we recommend staying here for two or three nights to explore. 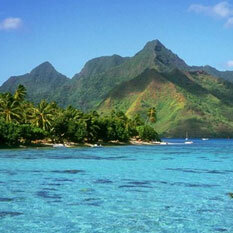 Described as a paradise on Earth, Moorea is home to breathtaking scenery and beautiful beaches. Fiji is home to over 300 picturesque islands, making it the perfect island-hoping destination. When visiting any of the French Polynesian Islands, you will receive a traditional Tahiti Tiare flower, making your arrival even more magical. Occupying the eastern half of the Caribbean’s second largest island, Hispaniola, the Dominican Republic is an historic, yet vibrant and energetic country. Home of the original European settlement in the Americas, this is a nation rich in cultural delights as well a destination famous for its fabulous beaches and holiday resorts. 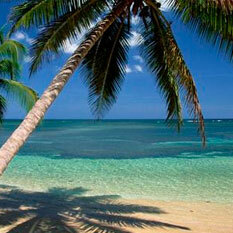 Punta Cana is located on the eastern tip of Dominican Republic nestled between the Atlantic Ocean and the Caribbean. Known for its clear waters and pristine stretch of beaches, Punta Cana is the perfect hideaway escape for your honeymoon. Scattered with all-inclusive luxury resorts, adventure travel excursions, safari rides and an exotic marine life. Dubai is the perfect honeymoon destination for couples who love fast-paced cosmopolitan cities with oodles of glitz, glamour and excitement around every corner. Seeming to effortlessly fuse its native Arabian traditions with all of the luxurious accoutrements of the West, Dubai is also a cultural melting pot where you can rub shoulders with people from all over the globe, not to mention enjoy a diverse medley of cuisines. Then, of course, there is the barren beauty of the desert and the many unforgettable adventures you can experience during your time in the city, whether you are enjoying a day at the races, going on a desert safari or watching the exotic shimmies of a belly-dancer. Honeymooners planning to stay in this dynamic city will have a number of luxury hotels and resorts to choose from, including the iconic Burj Al Arab which boasts not just 5 but 7 stars and is steeped in opulence and glamour. However if your budget won’t quite stretch to the Burj there are many other excellent hotels in the city, ranging from relatively cheap-and-cheerful to 5 stars, each one guaranteed to ensure you have a comfortable Arabian sojourn. 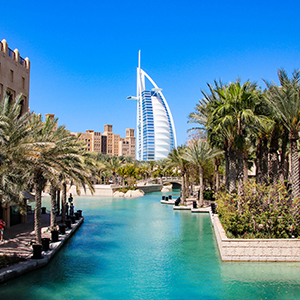 During your romantic Dubai honeymoon there are plenty of fun-filled activities to squeeze in to your itinerary, ranging from shopping at the record-breaking Dubai Mall to sailing along the Creek, soaring up to the observation deck at the Burj Khalifa or exploring the air-conditioned souk at the Madinat Jumeirah. Dune-bashing and hot air balloon flights add a healthy dose of adventure to your experience. After sunset head to one of the city’s outstanding gourmet restaurants for a romantic dinner, then prepare to dance the night away at a sizzling Dubai club such as the Sky View Bar at the Burj Al Arab or 360° at the Jumeirah Beach Hotel Complex. Located in the northeast corner of Polynesia this beautiful archipelago of over nineteen volcanic islands. Whichever island you choose you are assured of a fantastic honeymoon where you’ll find superior accommodation coupled with beautiful beaches and a range of activities that cater to everyone. The largest island in the United States, Hawaii’s Big Island isn’t just big, it’s still growing. 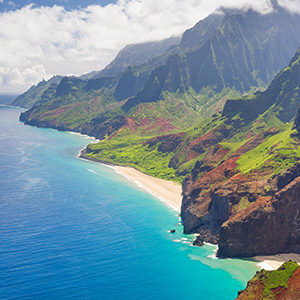 The Island of Hawaii is the youngest island in the Hawaiian chain and is also by far the biggest, providing a vast canvas of environments to discover a variety of unrivalled natural wonders. This is the home of one of the world’s most active volcanoes, the tallest sea mountain in the world at more than 33,000 feet. Honolulu is Hawaii’s vibrant capital famed for its restaurants, shopping districts and nightlife scene, a honeymoon to Honolulu is similar to many of America’s beloved beach destinations. Enjoy a honeymoon discovering historical landmarks, trailing through the beautiful Nature Parks and sinking your toes into the pristine sandy shores. Located in the mid-Pacific, Maui is a tranquil isle known for its pristine beaches and amazing outdoor activities including hiking, biking, snorkeling and windsurfing. A trip to Haleakala National Park should not be missed on your honeymoon, reach the highest peak in Maui on Haleakala Mountain as well as discovering enchanting waterfalls and pools along the way. Known, for very good reason, as ‘Asia’s World City’, Hong Kong – which translates as Fragrant Harbour – is a dynamic, diverse and endlessly fascinating harbour city nestled among lush green mountains on the shores of the South China Sea. 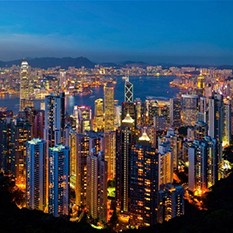 A veritable cultural melting pot, exhibiting influences from countries as far flung as Britain, Vietnam and Japan, Hong Kong offers so much to see, do and experience, whether you are interested in Cantonese opera, horse racing, delving into bazaars and antique stores or exploring the city-state’s Outlying Islands. Couples visiting Hong Kong on honeymoon are sure to have an unforgettable experience in this fast-paced and intriguing city, with its packed cultural calendar, its luxury resorts and its many intriguing attractions. To experience Hong Kong’s rich cultural heritage be sure to visit such destinations as the majestic Tian Tan Buddha, which stands perched on a hill above a monastery and makes for a breath-taking spectacle. Don’t miss the little museum which contains ceramic plaques and vibrant oil paintings depicting events from both the Buddha’s teachings and his life. Discover sugary sands, great coffee, world-class reefs for diving and incredible culture at this gem in the middle of the Caribbean. Jamaica offers a vast range of activities and experiences for your dream all inclusive honeymoon in the Caribbean whether you are searching for culture, adventure or relaxation. Head to the Blue Mountains to try one of the world’s best coffees at the century-old factory at Mavis Bank or explore this beautiful island during one of the many offbeat hiking tours and visit breath taking waterfalls and peaceful fishing villages. With its strong roots to Africa, this culturally beautiful island in the Caribbean presents world renowned cuisine, white-sand beaches, lush green mountain slopes and tumbling waterfalls to ensure your Caribbean honeymoon is simply unforgettable. Negril Beach is home to one of the world’s finest beaches and boasts a laid-back vibe with striking cliffs above crystal clear seas. End each day on your Caribbean honeymoon soaking up one of the best sunsets in the world from the top of the cliffs or from your private suite at one of the luxury resorts in Jamaica. Kenya is a beautiful and majestic country, positioned on the coast of East Africa facing the Indian Ocean. With a huge amount of national parks and nature reserves, majestic animals like lions, leopards and elephants are part of the natural habitat Kenya offers. The backbone of Kenyan tourism lies between Lake Victoria and the Indian Ocean, where great transport allows you to see astonishing landscapes and the many different species of animals that roam. Accommodation is in plenty and fantastically located with plenty of options to suit the needs of any traveller. 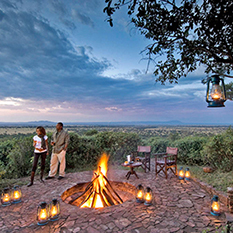 From luxury tent camps to lush hotel apartments and swimming pools, Kenya is a welcoming country brimming with excitement. Many people start in Nairobi, Kenya’s capital which is a prominent social centre with lots of culture to absorb. Nairobi also has it’s own nature reserve within, home to Giraffes and zebras within the city, but the Kenyan coast is also a main attraction. With holiday resorts positioned around the Great Rift Valley, beautiful beach resorts can be found, which offer the perfect alternative to the adventures found inland. Wherever you are in Kenya you’ll find yourself in close proximity to a nature reserve so it really is a great place to find the balance between adventure and relaxation. 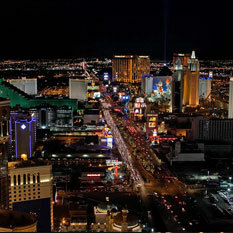 Nicknamed the entertainment capital of the world, Las Vegas features many mega hotel and casino complexes decorated with lavish care and attention to detail creating a fantasy-like environment. This playground for adults offers a feast for the senses with bright lights, interesting people and an extravagant lifestyle. Las Vegas is well known for its gambling scene and this can be found all along the strip, why not try your luck at some of the iconic Casinos, including Caesars Palace and MGM Grand where you will find everything from slot machines to high-stake table games. If gambling is not your style, why not check out the iconic Bellagio hotel with its mesmerising water fountains – a great photo opportunity or enjoy a Venetian gondola ride through The Venetian hotel. Adrenaline junkies will find heaven atop the Stratosphere with rides including Insanity, X-Scream, Big Shot and Sky Jump being well known in Las Vegas for really pumping the adrenaline of those who dare. 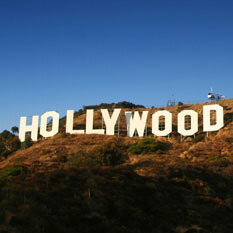 Los Angeles is the entertainment capital of the world, where the rich and famous live and play. Your honeymoon to Los Angeles will be filled with diverse experiences, iconic attractions and the finer things in life. If you love all things celebrity, Hollywood is the place to be where you will snap a great shot of the Hollywood sign in the hills and enjoy star tours including a behind-the-scenes movie studio tour and celebrity home tours where you will see homes of famous celebs. LA is full of things to see and do with a large variety of top cultural attractions, world famous artwork, the Hollywood Walk of Fame and many other iconic landmarks to ensure you have a fabulous honeymoon in LA. Live the glamorous life while lounging poolside or take advantage of the perfect weather to enjoy al-fresco dining all year long. 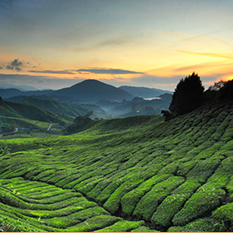 Malaysia’s varied landscape offers diverse experiences from island hopping to jungle trekking, or sightseeing in the capital Kuala Lumpur or charming towns like Penang. Contrast old world Asian charm in the city with private idylls dotted in the sea and dense rainforest and you have a combination that is uniquely Malaysian. Turquoise lagoons, white sandy beaches and over-water villas are dotted throughout the dreamlike honeymoon destination, known as the Maldives. Island resorts offer honeymooners total relaxation and privacy. The Maldives is one of the most romantic locations in the world. Well known for its affordable luxury hotels set upon beautiful beaches with volcanic mountain backdrops and endless waterfalls, Mauritius is the ideal location for your all inclusive honeymoon in the Indian Ocean. Shimmering turquoise waters and diamond white beaches await you and your loved one during your Mauritius honeymoon. Discover beautiful traditions, culture and some of the most stunning beaches in the world in Mauritius with natural attractions like Tamarin Falls, a beautiful natural collection of waterfalls in southwest Mauritius. With plenty of watersports, relaxing spas, world class golf courses and all inclusive cuisine, your Mauritius honeymoon will be packed full of fun and relaxation without leaving the resort. 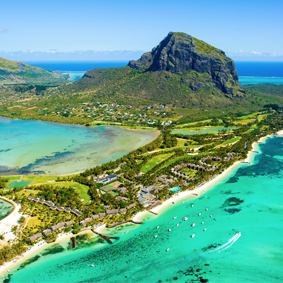 For couples looking for a bit more of an adventure on their honeymoon, Mauritius has so much to offer from French colonial houses, animal parks, nature walks, quad biking, horse riding and zip-lining for thrill seekers. Mexico is one of our most popular honeymoon destinations, the combination of Mexican culture and luxurious beach escapes ensure newlyweds come back relaxed and happy. Mexico is located between the Pacific Ocean and the Gulf of Mexico, sharing a border with North America, Guatemala and Belize. There are quite a few different areas that collectively make up Mexico and for your honeymoon we recommend either Cancun, Riviera Maya or Los Cabos. Riviera Maya is the ideal location for your honeymoon stretching from Playa del Carmen to the breathtaking cliff-top ruins at Tulum. 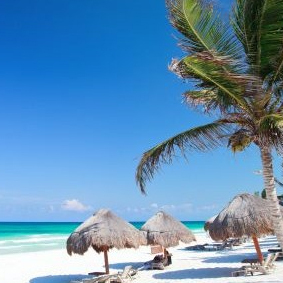 Riviera Maya is also home to some of Mexico’s best beaches and uber luxurious resorts. Our favourite is Paradisus Playa Del Carmen La Perla … enjoy a swim-up room and royal butler service throughout your stay. Soak up the South Beach lifestyle, dine at trendy restaurants and shop up a storm at the many malls and shopping streets, whatever you decide to do on your honeymoon, Miami has it all. 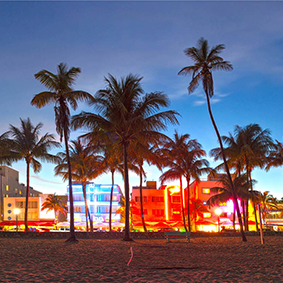 Located in the south-eastern part of the United States and making up the largest part of Florida, Miami has long been a popular holiday destination for its year-round sunshine and beautiful beaches. Swimming with the dolphins, riding an airboat, taste testing at a winery and strolling through a museum are just some of the great activities waiting for you in Miami. Beyond the sun, sand and surf, Greater Miami and the Beaches offer much more with the Everglades nearby where you can visit a real working alligator farm where 2,000 alligators of all sizes live in natural settings. If reptiles aren’t your thing, how about a tour of a mansion with more than two thousand years of lifestyle artefacts? Vizcaya Museum & Gardens on Biscayne Bay has been the backdrop to many a film and photo shoot and continues to delight with its’ timeless beauty. This vibrant city has it all with attractions, landmarks, museums and world class shopping right at your doorstep; New York leaves its visitors wanting to come back again and again. From the moment you land into New York, your eyes will be exposed to some of the world’s most spectacular sights and urban architecture. Hail down a yellow cab and let your adventure begin as you watch the breath taking New York City skyline open up in front of you. 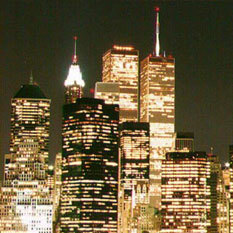 New York is home to a number of famous monuments and landmarks that must be explored when visiting New York. Do not miss the photo opportunities at the Top of the Rock (Rockefeller Centre) and Empire State Building as well as Times Square. The Empire State Building is not the tallest, but still one of the most original and elegant skyscrapers of them all. This 103-storey framework rose at an astonishing rate of four stories per week, making the Empire State Building the fastest-rising skyscraper ever built. Wander into Times Square where you will find flashing lights, honking horns and crowds of people all there to experience the bright lights of New York City. The theatres of Broadway can be found in and around many of its side streets. 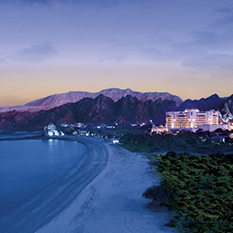 If you are interested in spending your honeymoon in a romantic Middle-eastern location steeped in culture and tradition then look no further than Oman. Nestled on the eastern portion of the Arabian Peninsula, bordered by Yemen, Saudi Arabia and the UAE, Oman is a nation with a proud sea-faring heritage and thousands of years of history, yet is also a land which was only opened to foreign visitors from 1970. Since then the country has gone from strength to strength, developing rapidly, yet at the same time proudly maintaining its time-honoured traditions and rich culture. Begin your honeymoon in Oman in the elegant capital of Muscat, a historic port city which effortlessly toes the line between tradition and modernity. Here you can stay in a luxurious hotel and glide around air-conditioned shopping malls if you so desire, but it’s a lot more fun to visit cultural sites such as the Grand Mosque and the Royal Opera House; you can also mingle with the locals and have an authentic Arabian shopping experience, picking over pieces of jewellery and eyeing Omani daggers at Mutrah Souq, on the Corniche. Finish off your retail therapy with a Turkish coffee at a traditional coffeehouse, or perhaps a tasty shawarma. If you are staying at one of Muscat’s luxurious hotels by the sea you can also fill your days with plenty of swimming, sunbathing and water sports, or just relax by the pool with a drink at your elbow. Timeless and unassuming, the islands of the Seychelles archipelago lie just south of the equator. Lucky to have pleasant tropical climate all year round, temperatures rarely drop below 24 degrees Celsius, making the Seychelles the perfect honeymoon destination all year round. Your Seychelles honeymoon will be packed full of things to see and do with its diverse and beautiful landscape. The perfect location for your beach honeymoon, the Seychelles is famous for some of the best beaches in the world, many are framed and outlined by historic granite boulders while others offer sky blue waters and non-stop opportunity for swimming, snorkelling, and simple relaxation during your Seychelles honeymoon. 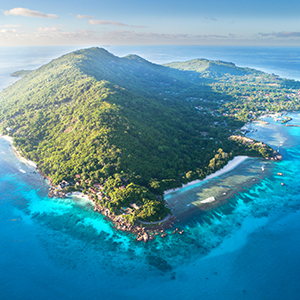 Spend a day island-hopping between the 16 islands of the Seychelles that are fully developed with accommodation. We love the Raffles Praslin Seychelles hotel. For couples feeling adventurous, why not explore the island on horseback? One of the world’s most multicultural cities, Singapore is always celebrating something. This modern and vibrant city is the perfect location for your city honeymoon with a wide-range of luxury hotels and world-class shopping where you will experience the finer things in life. Accommodation in Singapore can be pricey, but we can promise it’s well worth it with the type of luxury you will experience. We love the Mandarin Oriental for your Singapore honeymoon or if you are looking for a classic Singapore experience, the Marina Bay Sands is simply unforgettable with their 55th floor sky pool that overlooks Singapore. During your Singapore honeymoon, head to Orchard Road for your retail fix, home to names like Louis Vuitton, Chanel and other world-famous labels. Singapore’s answer to the London Eye, the Singapore Flyer is a site not to be missed as this 165-metre high wheel offers an interesting view of Singapore. Our tip: head there at dusk for the best view of the softly lit skyscrapers. Orchard Road was once the place to stay and visit in Singapore where everything was happening, but in recent years all the action and 5-star hotels have moved to the new Marina Bay area where you can find evening entertainment, a range of restaurants and hotels and even fireworks over the Marina Bay Sands. 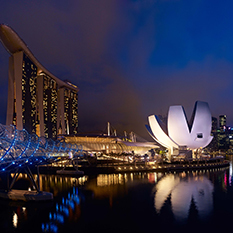 We recommended combining Singapore with another destination for a great multi-centre honeymoon. We love Singapore and Bali, Singapore and Maldives or Dubai and Singapore. South Africa is an incredible honeymoon destination, due to its cultural diversity, its wildlife and its staggeringly beautiful landscapes. 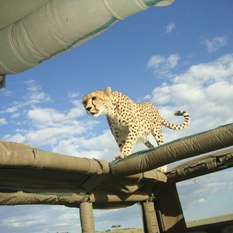 Whether you are keen to experience the wild majesty of the bush and try to spot the Big 5, want to try out adventurous activities such as hiking, sailing and horse riding, or would just like to soak up the culture and history of the country at its museums and heritage sites, there is so much to see and do in this fascinating African nation. If you want to enjoy an unforgettable safari honeymoon there are a number of wildlife parks for you to visit, foremost among them being Kruger National Park. With its riverine woodland, dramatic kopjes and the majestic Lebombo Mountains all to be found within its boundaries, the park’s landscape is sure to wow, but it’s the diversity of wild animals which makes the experience truly extraordinary. During your stay at Kruger you should look out for leopard, rhino, cheetah, elephant, zebra and hippo, not to mention various colourful bird species. If a honeymoon bursting with culture and adventure is what you and your partner have always imagined then look no further than Sri Lanka. 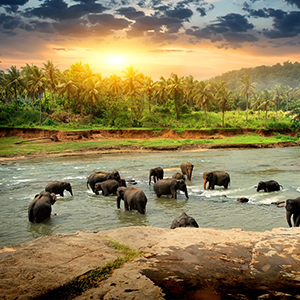 Your Sri Lanka honeymoon will be an adventure as you visit beautiful temples, ride elephants at Chaaya Village or visit the elephant orphanage and taste a variety of delicious teas at one of the tea plantations. Sri Lanka is a hot spot for destination weddings and is one of the most popular locations for weddings abroad due to its beautiful setting, great value wedding packages and only minor legalities involved, ensuring your Sri Lanka wedding will be stress free. Spend your Sri Lanka honeymoon visiting Yala national park and the Dambulla Rock Temple, relaxing on the beach in Negombo, or get lost in the endless tea plantations in Nuwara Eliya. The tropical climate ensures warm temperatures year round, making Sri Lanka an ideal honeymoon destination. One of the most romantic destinations in the Caribbean, St Lucia offers breath taking natural landscapes enveloped by unspoilt beaches and pristine rainforests. A well-known location for honeymoons and weddings, St Lucia exudes romance with stunning resorts on sweeping, palm-fringed bays between Castries and the island’s northern tip. For couples seeking some lively entertainment, the northern town of Gros Islet is a lively destination featuring a number of bars, restaurants and nightclubs – don’t miss their famous Friday Night Street Party, the longest running street party in St Lucia. Intimate, luxurious and elegant are just a few of the words used to describe the hotels and resorts available in St Lucia. From private plunge pools, outdoor garden shower and hammock for two overlooking the breath taking Caribbean Sea, St Lucia really is the perfect location for two people in love. 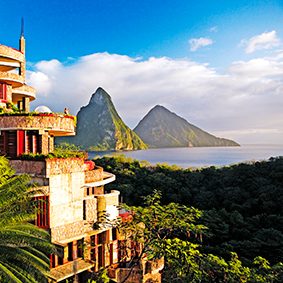 For couples looking for the ultimate in St Lucia accommodation for their ideal honeymoon package, we love Jade Mountain – situated in the mountains, you and your loved one will be left in awe at the mesmerising views. 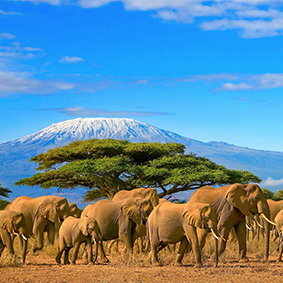 Situated in East Africa and its largest country, Tanzania is bordered by Kenya and Uganda. Tanzania has vast areas of wilderness and includes some of the world’s largest games reserves including the plains of the Serengeti National Park. Tanzania is really popular for safaris as there are great chances for seeing the Big Five (elephant, lion, leopard, buffalo and rhino) – it is the ultimate beach and safari destination for a romantic and unforgettable honeymoon. The country covers 945,087 km ² and is very diverse with Mt Kilamanjaro (its highest mountain and volcano) which travellers climb by the thousands to get a sensational view from the snow capped summit – a perfect backdrop to capture your first moments of married life together! There is also the Ngorongoro Crater – which many cite as the world’s 8th natural wonder – and is home to thousands of beautiful flamingoes. There are all types of safaris to seek out all the fascinating animals and birds and these include jeep, walking and boat safaris. 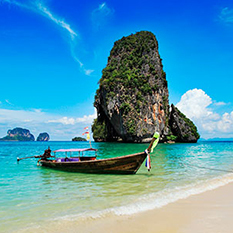 You’ll find a melting pot of contrasting experiences in Thailand, from the vibrant non-stop city of Bangkok with its temples, Buddhas, floating markets and colourful nightlife; to the stunning beaches of Phuket, Koh Samui, Krabi and Pattaya. 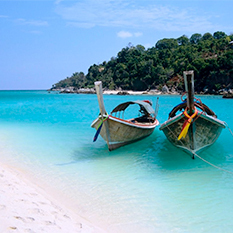 Plus, if you want to escape the beaten track, look out for Thailand’s hidden gems and discover beautiful unspoilt areas. Vietnam is a South East Asian country, bordered by China, Laos and Cambodia, and famed for its breath-taking natural beauty, its mouth-watering cuisine and long turbulent history. Despite having been engulfed by war, rebellion and strife periodically over the course of many centuries, the country remains one of the region’s most compelling destinations and draws visitors from far and wide to experience the richness of its culture and the wonder of its landscapes. 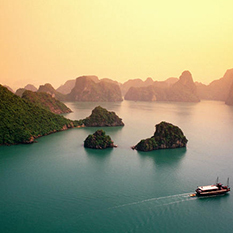 A vibrant melting pot, displaying Chinese and French influences in its food and architecture, Vietnam bewitches and beguiles at every turn and is the ideal destination for an exotic honeymoon. To experience the country’s spectacular scenery in its full glory head to places such as Halong Bay, with its 2000+ islands and islets jutting out of the glimmering Gulf of Tonkin, and take a scenic boat cruise or explore the local caves. Alternatively you can delve into the dramatic splendour of Cat Tien National Park, where you can bird-watch, hike and go mountain-biking through the lush rain forest, or you can opt to spend your honeymoon by the beach at Nha Trang or Mui Ne. To experience Vietnamese history and culture, head to the cities, such as Ho Chi Minh, a dizzying blend of East and West with its exquisite Chinese pagodas, bustling markets and war monuments and museums. Hanoi is also well worth a visit, boasting elegant boulevards, more historic pagodas and bustling streets full of atmosphere and excitement. Visit the stunning Ngoc Son Temple, stroll around the legendary Ho Hoan Kiem lake and sample delicious street food in the atmospheric Old Quarter. Zanzibar is an archipelago of islands off the coast of Tanzania, lapped by the crystalline waters of the Indian Ocean. There are two bigger islands and several smaller ones; the largest island, Zanzibar, is roughly 90km in length and 30km wide. Zanzibar is known for its traditional way of life, its stunning beauty, its beaches and its spice farms. While the islands are predominantly Muslim and thus require you to dress more conservatively around locals, and behave with appropriate decorum, Zanzibar is still an idyllic honeymoon destination with plenty to offer. Zanzibar itself is known as the Spice Island, and for good reason, as it has been growing various types of spices of centuries and is one of the few places in the world to produce saffron. Be sure to take a tour of one of the local spice farms so you can see how their products are grown and taste some delicious exotic fruit. To get another glimpse into the island’s traditions it is also well worth taking a village tour, to meet the local inhabitants and get a fascinating glimpse of their daily life and customs.